Bunkhouse and Pub on the Cycling Trail near Buxton in the Peak District. 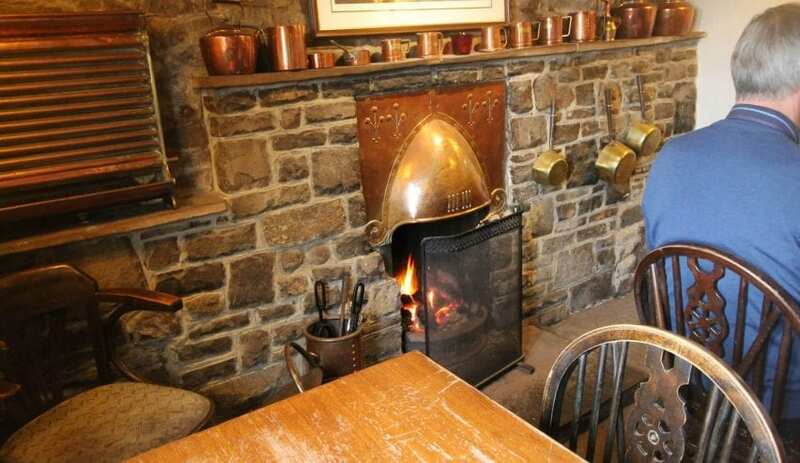 Eat, drink, be merry and stay in a refurbished stone barn with a traditional award winning Peak District country pub on-site. The Royal Oak serves fantastic pub grub and local cask ales (Multiple Winner of Derbyshire Pub of the Year Awards). 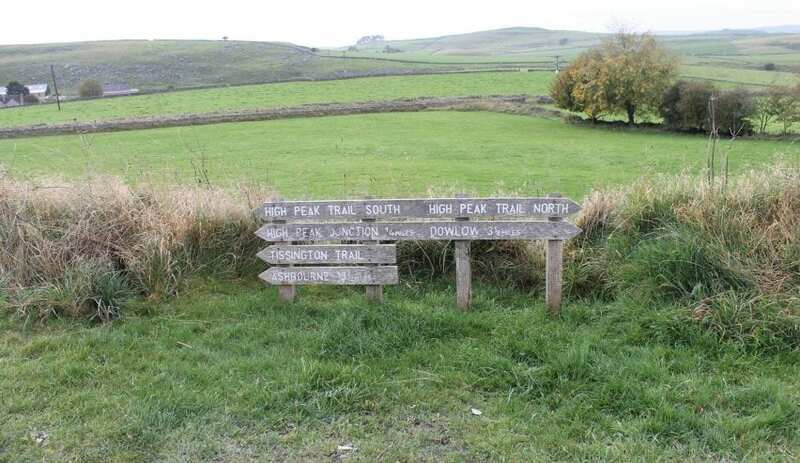 The Royal Oak has direct access to the High Peak and Tissington Trails which use disused railways to provide easy off road cycling. The area is also ideal for climbing and walking with stone circles and limestone gorges to explore. The bunk barn is perfect for any number from 1 to 34 (small and large groups welcome) wanting comfortable, clean, private bunk bed style rooms. The five separate bunk rooms are all heated and lockable. All the bunk beds have comfortable mattresses, a pillow, pillow case, duvet and towel. There is a small communal kitchen ideal for basic meals with fridge, oven and kettle and seating for 5/6 people. Separate ladies and gents toilets and hot showers are included in the simple per person tariff. Campsite and holiday cottages (some sleeping large groups) also available. This accommodation is featured on our map of the Peak District and here is its own website. April to Sept £17pppn, Oct to March £15pppn. From the A515 Buxton to Ashbourne road take road to Hurdlow oposite to B5055 road to Bakewell. 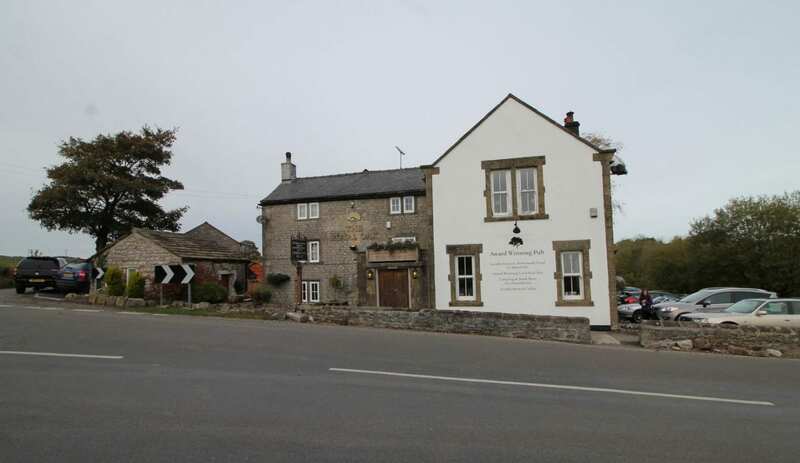 This accommodation is in a National Park, is available to individuals, has a pub within walking distance and is on the The Limestone Way map, the Hostels with Camping map, the White Peak Loop and the . Heading down the Roman Road in the moonlight night we turned off to Hurdlow and the Royal Oak Bunkhouse. 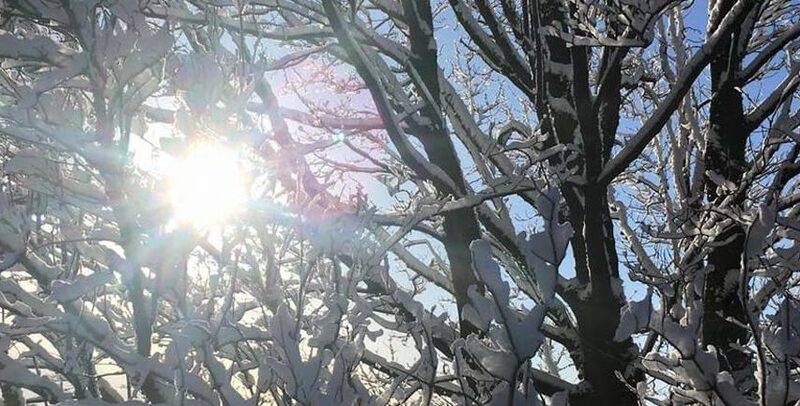 The pub was a wintry scene with snow all around, warm coal fire and a full Derbyshire breakfast..
Stay at the Royal Oak Bunkbarn for direct access onto the Tissington Trail and High Peak Trail. 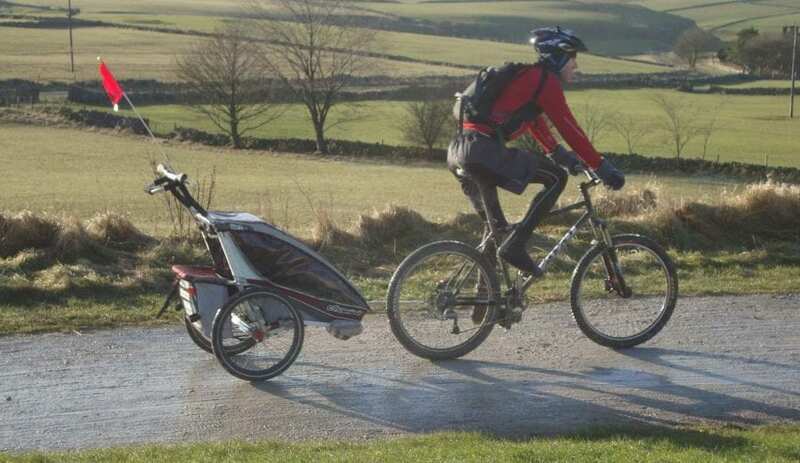 These car free cycle trails cross Derbyshires Moors on old railway tracks, smoothing over the hills with gentle gradients and stunning views. 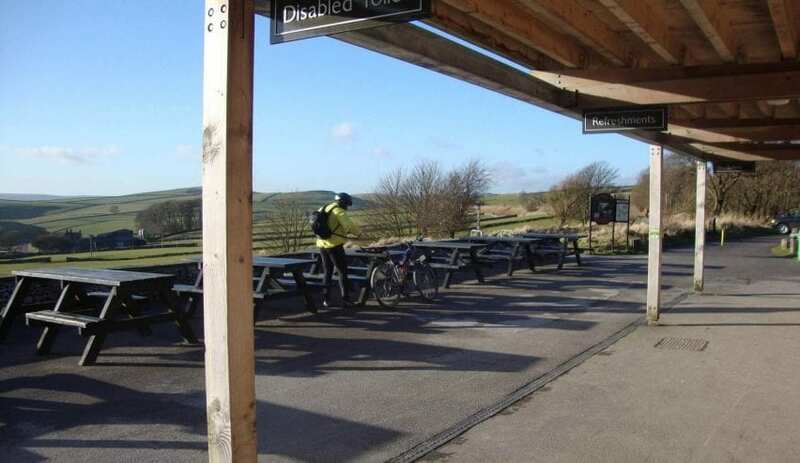 The Royal Oak Bunkhouse has direct access onto the Tissington Trail which travels from near Buxton to the pleasant market town of Ashbourne, passing through the Tissington Estate with is 1940’s sweet shop and estate cafe. 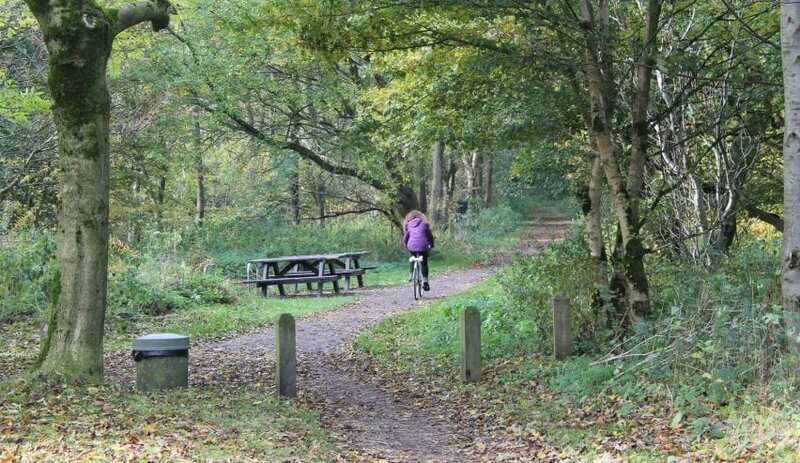 The High Peak Trail joins the Tissington trail a few miles south of the Royal Oak Bunkhouse and travels high across the moors dropping down to Cromford near Matlock on three dramatic inclines. 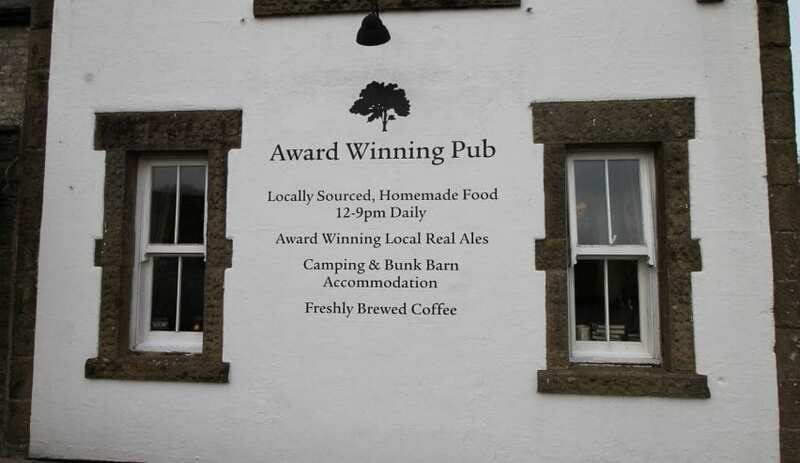 The Royal Oak Bunkbarn near Hurdlow, Buxton is high up on the moors of the Peak District, it is part of the complex of buildings around the Royal Oak pub and sits handily next to the Tissington Trail bridleway and footpath. 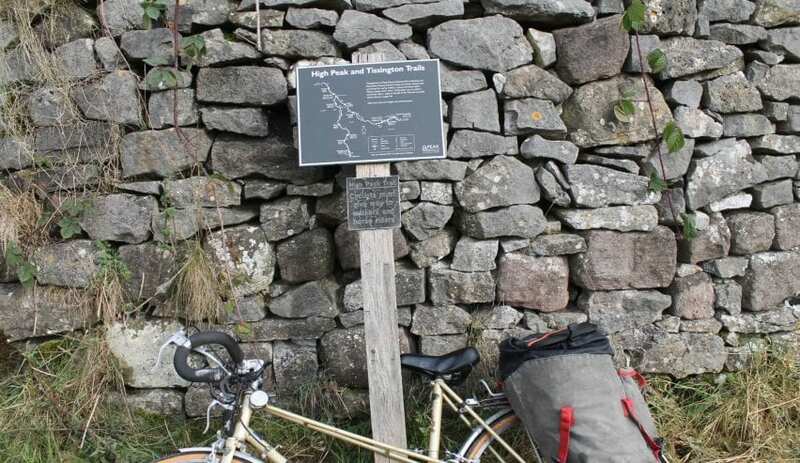 It was a windy day when we set off on bicycles from the old station at Hartington, following the trail heading to Hurdlow. The old station buildings at Hartington house a cafe and information centre. These buildings are a dead giveaway that the trail follows the line of an old railway which once linked upland Buxton with the more sheltered Ashbourne. The wind was against us on the way up as we barged the air aside through cuttings and exposed moors but the views never let us down, with clear vistas over the high plateau of Derbyshire. It was with great relief that we chained up our bikes and piled into the Royal Oak for a hearty and, crucially, warm meal. The converted stone Barn bunkhouse sits next to a traditionally hospitable pub with a big reputation for good food. 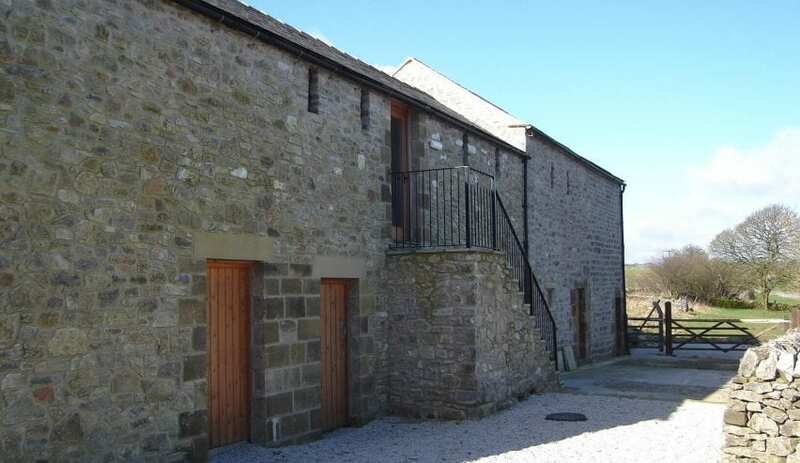 The Bunkhouse is thoroughly modernised and comfortable with linen and towels provided. 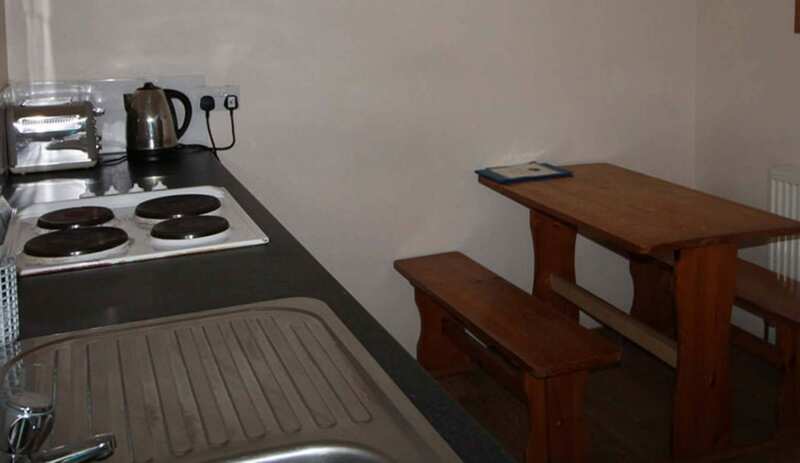 There is a communal kitchen and separate showers and toilets. We sat outside in the shelter of the barn wall and basked in the glory of the Peak District Views. 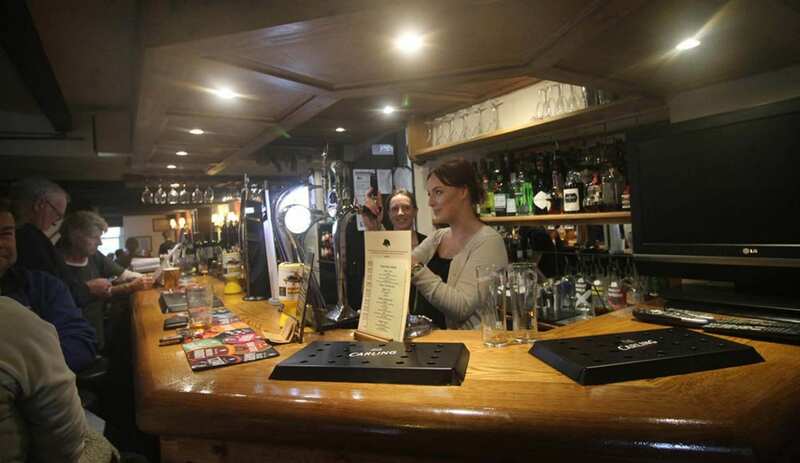 The Royal Oak with its excellent food and bunkhouse is situated right by the track of an old railway bed which has been used by the Tissington Trail for many years. Derbyshire Dales have plans to extend this route on into Buxton where it could meet up with the Monsal Trail which currently goes to Bakewell, again along an old Railway bed. Work is already taking place to extend the Monsal Trail to Matlock where you can pick up the road to Cromford. At Cromford the towpath of the Cromford Canel connects to the High Peak Trail, which is already connected to the Tissigton Trail. The resulting loop of 60 miles off road cycling will be called the White Peak Loop.